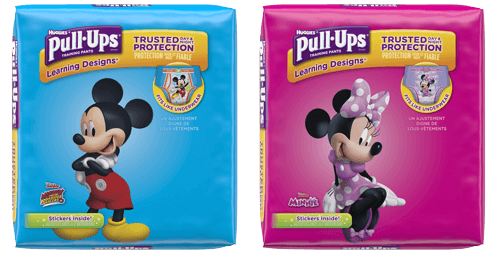 If your child is regularly making it to the potty before the arrival of the poop or pee, and often has dry, clean Pull-Ups®, it’s time to try out the next big step (drumroll, please): Big Kid Underpants. Here’s how to handle this transition. Shop with your child for new undies, letting him select various colors and styles that appeal to him. If he’s in the mood, have him test out the new undies with a bedroom fashion show. Place a small, lined hamper in the bathroom for wet underpants. Your Squirrel may swoop in and out of the bathroom to do his business before you even know it, so you want to have everything set up for dash-and-go use. Now that your Squirrel is proudly flaunting those new undies, it’s time to break out the Time to Potty App. Tell your child, “Let’s play a new kind of Time to Potty game.” Get out your tablet or phone (which alone should grab the interest of your kiddo) and open the app with your child, having them tap the icons if they can. The goal of this app is keeping a squirrely Squirrel engaged and focused, and, for busy moms and dads, it helps you remember, “time to go” even in the midst of pancake making/blanket fort building/bill paying.